Highway 12 is one of the most scenic roads in the United States. There are two major National Parks that you will come across on this road. 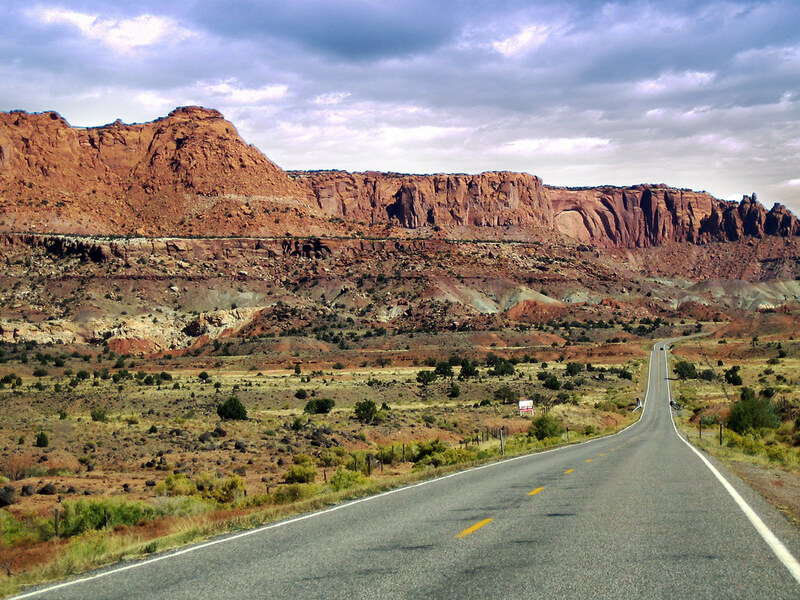 With elevations rising from 5,000 to over 9,000 ft. above sea level, Highway 12 cuts through some of the most stunning and rough terrain in Southern Utah. This highway has made its name on the top 10 most scenic drives in the world! Stretching 124 miles, with 12 curves, this road took nearly 4 decades to build. It travels the land between “martian land” Bryce Canyon National Park, and Capitol Reef National Park. State Park Museum are all apart of the experience of driving Highway 12! Some cool things that you can find at each of these places include a wide range of wildlife, beautiful plant life, jaw dropping views and so much more. Some road trippers take time to stop and enjoy hiking, mountain biking, camping and a plethora of other fun and exciting other activities that these parks have to offer. Take a nice cool dip at Calf Creek Falls at Grand Escalante National Monument, hike through the hoodoos and ponderosa pines of Bryce Canyon, take in all the scenery and fresh air as you make your way to the end of the road trip. One of the more dangerous parts of this journey would have to be Hogsback road, just a two lane highway that twists and turns. This is also one of the more spectacular parts of the trip, due to the fact that there are steep drops along the way creating a panoramic view of the the nature that surrounds you. This is such a scenic portion that it might just cause you to get in an accident because it’s nearly impossible to drive without checking out the amazing view that surrounds you. It truly gives you the idea that you aren’t driving on earth anymore, there just can’t be something this crazy in Utah. Off in the distance you’ll catch arches and massive canyon walls that will make you keep asking “what’s that and how to do I get there?”. The razorback mountains all around you with the enticing slot canyons below you will beckon that part of you that always wants to be exploring. Then only adding to the scene are the green cottonwood trees that follow along the winding rivers below you, so one moment you’re on top of the world looking out at Mars, and then next you’re driving through leaf covered roads with creeks and waterfalls. This drive is inspirational, beautiful and almost movie like. We dare say that anyone and everyone should experience a road trip on Hwy. 12 at least once in their lifetime.